THE GUNNING DOWN of unarmed 'Official IRA' Volunteer Joe McCann in Belfast in 1972 by British paratroopers was unjustified, an investigation by the Historical Enquiries Team has found. McCann (pictured right) was shot dead on Joy Street in the nationalist Markets district of Belfast by members of the British Army’s Parachute Regiment. McCann was unarmed and running away from the soldiers when they opened fire, hitting him a number of times in the back. 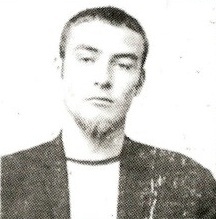 On the same day, the Paras also gunned down 20-year-old student teacher Patrick Magee in the Lower Falls area of Belfast as he walked down the steps of St Comgall’s School. 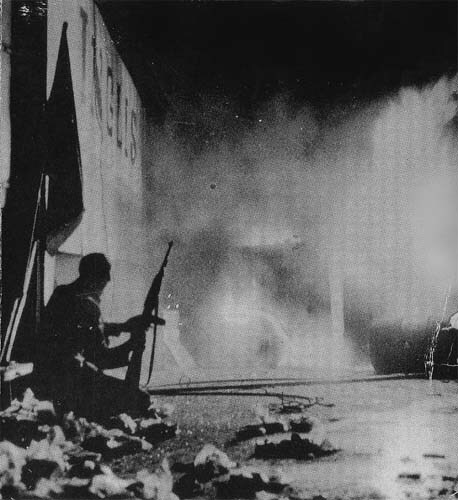 A photograph taken of Joe McCann holding an M1 carbine silhouetted against the flames of a burning bakery during a previous battle in the Markets area of Belfast became an iconic image of the early years of the conflict.